Crystal Anthony, 17, of Long Beach shares her life story and experience as a youth leader on February 22. Photos by Sylvana Uribe. With an absent father in and out of prison, 17-year-old Long Beach native Crystal Anthony and her younger siblings were raised by their mother. The Lakewood High School senior who grew up in the city’s northside said she went to three different elementary schools and lived in at least five different places. With no money to join after school programs, Anthony said she had no one to connect to or receive support from—instead staying home and doing homework or playing with her siblings. 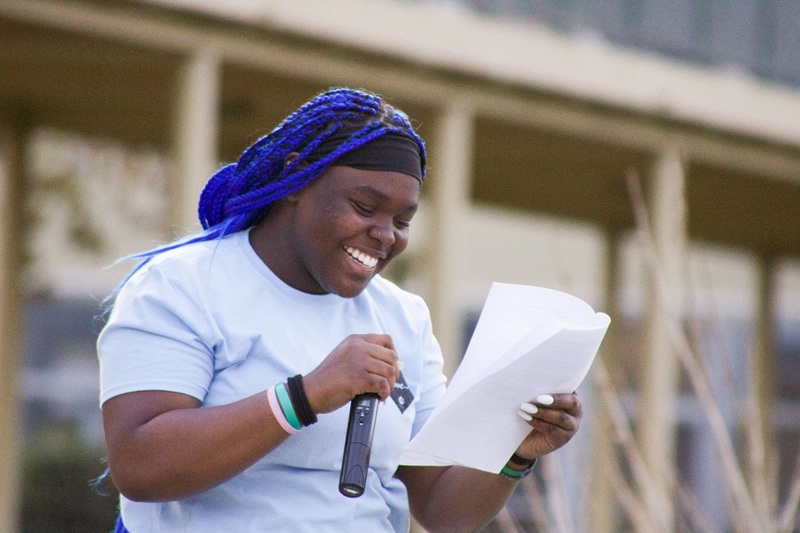 During her freshman year Anthony became a youth leader for the Children’s Defense Fund and Success in Challenges and said she soon found her voice. At those organizations she learned the stories of her fellow youth and concepts such as the “school-to-prison pipeline” notion and its affect on youth like herself. Programs like these that especially help the community’s underserved youth are what local organizers are calling on the city to invest more in. Anthony was one of a handful of teens who last month shared their stories about growing up in low-income neighborhoods and finding programs aimed at nurturing youth during a news conference hosted by Khmer Girls in Action (KGA) and Building Healthy Communities (BHCLB). 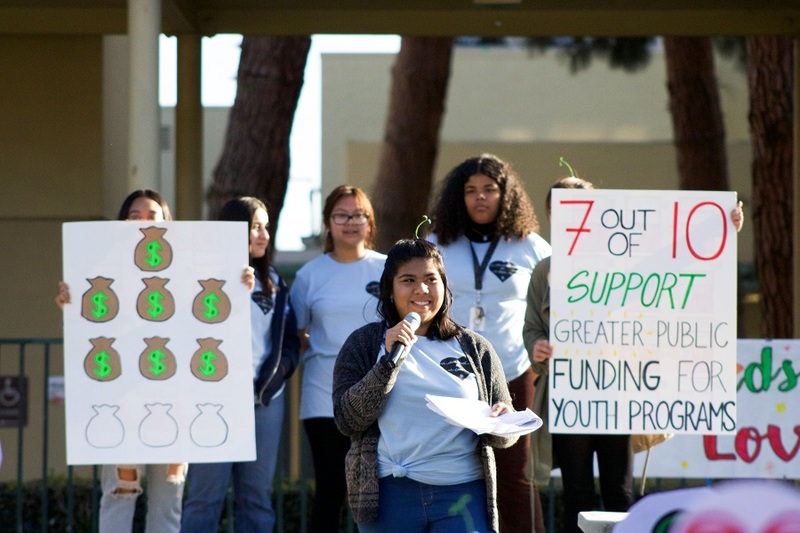 At the event, which coincided with KGA’s fifth annual Wellness Week at Poly High, KGA and BHCLB revealed the results of a youth-led survey showing widespread support for youth services and resources in the city budget, which officials are projecting will see a $15 million shortfall for the 2019 fiscal year. The release of the Invest in Youth survey results culminated the groups’ first-ever campaign during which youth leaders knocked on doors, conducted after-school phone banking and event tabling to complete a total of 750 surveys and hear what community members identified as top budget priorities. The surveys were taken primarily in the city’s west, central and north areas because of the high concentration of poverty and health disparities, organizers said. The respondents identified as 61 percent renters and with household incomes under $45,000 a year. Respondents also identified as 58 percent women, 30 percent Cambodian, 29 percent Latino, 12 percent African American and 8 percent white. Seventy-three percent were over age 18 and registered voters. The campaign came out of youth leaders learning about the city’s budget, said KGA Executive Director Lian Cheun. With the support of Advancement Project, they were also able to analyze how the city has prioritized its spending, she added. According to the results, 80 percent of respondents believe the city should prioritize youth development with another 78 percent putting priority both on mental health as well as parks and after school programs and 69 percent prioritized libraries. Those believing the city should prioritize police came in last at 18 percent. A data analysis by the Advancement Project shows that the Long Beach Police Department receives over $200 million of the city’s budget while youth development programs receive about $25 million. Cheun offered an alternative—to create a city fund earmarked for children and youth programs that would ultimately grow overtime. 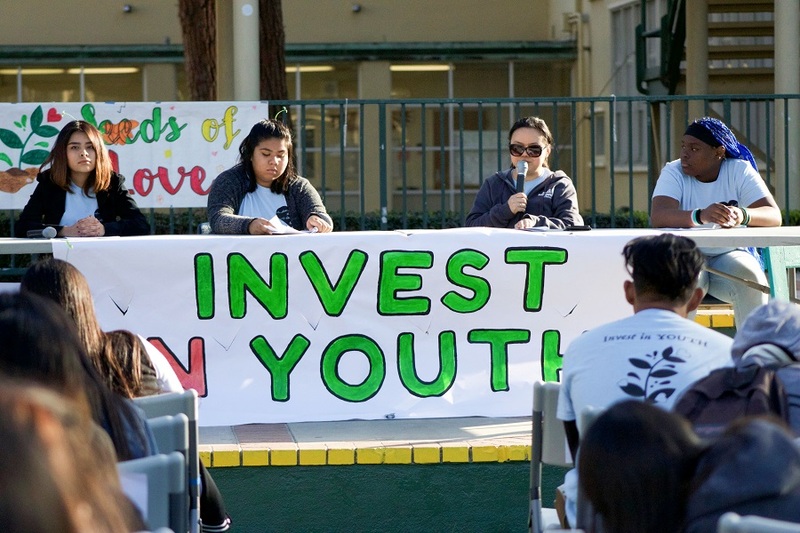 “We call on our city to show Long Beach youth some love and commitment,” Cheun said.